It would seem that a certain generation of the American populace loves and is dedicated to the flavor of the famous Limburger. Limburger literally means “coming from the place of lime trees.” The cheese takes its namesake from Limburg, a small province on the northern border of Belgium, Germany, and the Netherlands and was developed by Trappist monks in the early 19th century. Once exported to Germany, the cheese became wildly popular and a German national staple. A classic “smear-ripened” brick cheese, Limburger is a fragrant cheese from the washed-rind family of cheeses and similar to Epoisses, Tisiter, Taleggio, and Muenster. Brevibacterium linens give the cheese its inimitable essence and taste, and carotenoids lend the cheese its characteristic orange-colored rind. The “smear” comes from the cheesemaker spraying or sponging a Brevibacterium linen bath over the cheese as it ages. The washing keeps the cheese moist, prevents contamination by undesirable bacteria, lends a healthy antibody to the rind, and converts lactose to lactase, a more digestible form of dairy for most people. Peoples carrying the Limburger tradition from Germany, Austria, Belgium, and Switzerland immigrated to the United States in the latter half of the 19th century, finally settling in Wisconsin and the Midwest, then outskirts of the heartland of American cheese. 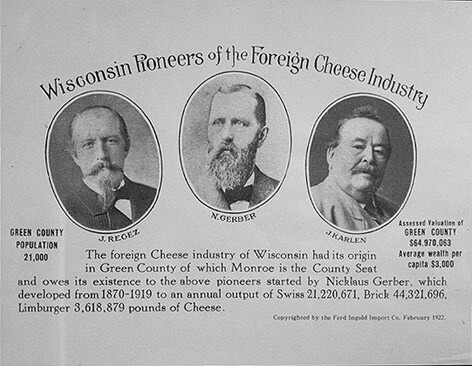 In point of fact, these immigrants extended the reach of American cheesemaking into the Midwest from its stronghold New York, American’s then-cheese capitol, with Limburger finding its niche in the city of Monroe in Green County, Wisconsin. The immigrants brought with them not only the tradition of Limburger-making, but also a taste for washed-rind cheese, rivaling the then-current, national cheese: English-style cheddar. Limburger, with its full-bodied, strong flavor, relatively brief ripening period, and noted health benefits, provided a compelling food staple for a working public at the onset of the industrial North. 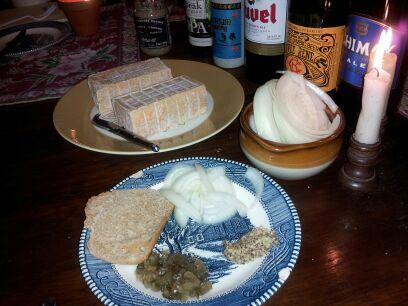 A slice of Limburger smeared on pumpernickel or rye with a dollop of mustard and onions, complimented by a glass of beer and a pickle could warm the heart and go far. A small amount of cheese could satisfy both the tastebuds and the belly. Coupled with the rise of The Chemistry Era that promised clean food without contamination, Limburger’s reputation was unduly soiled. Processed foods, rather than the traditional, were the wave of the future. Advertising promised a cheaper, better product than the original, devoid of any bacterial culture—a fatal blow for cheese. In 1937, the same year that Kraft’s sales of boxed mac’n cheese soared, Green County Limburger reached a surplus. Rather than flooding the market with cheese or “plowing it under,” suggested by Chicago Daily News, cheesemakers declared a Limburger Holiday. But this was no restful celebration. The worst was yet to come. In an article for Lapham’s Quarterly, Ben Schwartz correctly surmises that in the decades following the American Depression, media perception hammered the final nail in Limburger’s proverbial coffin. The good-natured humor once levied against Limburger took a dark and sinister turn. Newspapers reported in 1935 that German immigrant Bruno Richard Hauptmann, otherwise known as the Lindberg-baby killer, had a favorite jail snack of Limburger sandwiches, and in 1948 it was reported that Ohio mass murderer Richard Murl Davis’ last meal consisted of none other than a Limburger sandwich. Once poked at in good sport, the cheese was now linked to “Nazi-types” and to murderers. It was only a matter of time before the tarnished reputation would drive American Limburger cheesemakers to other pursuits. Many an imported Limburger foil-wrapped brick can be found on U.S. grocery shelves today; however, only one certified Limburger cheesemaker has survived in America—Myron Olson. Chalet Cheese Cooperative, where he works, stands alone as the single domestic Limburger factory, located in the once-proud Limburger capital of the States: Monroe of Green County, Wisconsin. Many more Limburger-lovers have survived and populate the States, nostalgic for the days when Limy sandwiches were commonplace, and they are eager to commune with pleasant past memories of family and friends with a scent and a taste. Some yearn for a good cheese. We aim to deliver both the tradition and the taste experience in the best possible way. The Cheese Traveler recommends the Limburger classic Germanic pairing: 1) the tapas (or sandwich); rye bread, a smear of Limburger, grain mustard, pickle relish, and a fresh slice of onion; 2) the beer; Blue Label Chimay (some also recommend a Dubbel or a Tripel—we are currently in the process of testing this pairing). And because Limburger is in the washed-rind family, classic sweet pairings from other countries such as France and Italy can offer a delicious alternative to the savory tradition. For a funky fusion experience, try Limburger on rye with a dollop of chestnut honey mustard, aged balsamic, or fig jam paired with a sweet desert wine such as Sauternes. 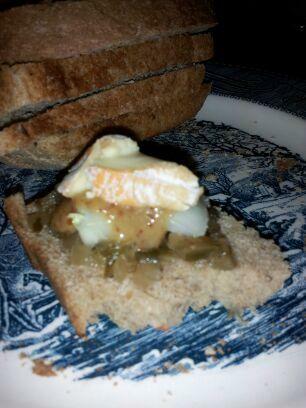 The best pairing can nullify any acidity of the cheese and bring out pleasant nuances in the paste. If Limburger has peaked your interest and is still beyond your reach, but you want to test your palate on the gooey sublime that only a smear-ripened cheese can offer, try Belgian Charmoix, Irish Ardrahan, Italian Stracchino di Videsta, Californian Red Hawk, or Twig Wheel or Oma from Vermont, to name a few. Each is light, fragrant, earthy, vegetal, slightly yeasty, even eggy, bordering on sweet custard-notes and delightfully soft on the tongue. At room temperature, they open to these complex flavors resounding at different taste regions and linger for minutes still revealing new layers of flavor. We at The Cheese Traveler want you to test your palate with these cheeses. Mention the blog post between now and March 15, 2013 and we will hook you up with a flight of washed-rind cheeses to taste. You can find your accompanying mustard and relish in our pantry section. And you can pick up a fresh baked-daily from scratch, traditional rye loaf of bread from our next-door neighbor All Good Bakers: W-Sun, 9:30-3. 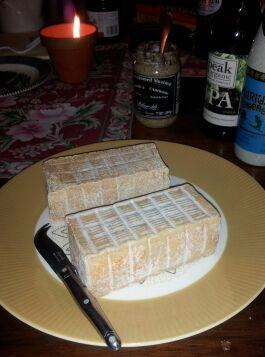 We will offer cheese classes in the coming months, so stay tuned. This entry was posted in Midwestern American Cheese, Spotlight on Cheese and tagged Americana, cheese pairing, history, limburger, smear-ripened, washed rind by The Cheese Traveler. Bookmark the permalink.